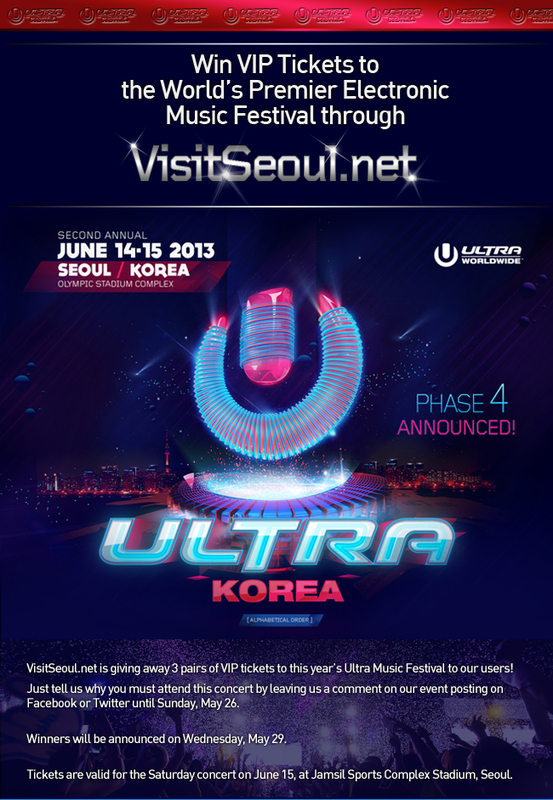 VisitSeoul.net is giving away 3 pairs of VIP tickets to this year's Ultra Korea, the world's premier electronic music festival! Just tell us why it must be YOU that must attend the concert through our Facebook or Twitter page. For complete rules and information, please click here. This year's festival features a solid and brilliant lineup, including Armin Van Buuren, Avicii, and Carl Cox & Friends.